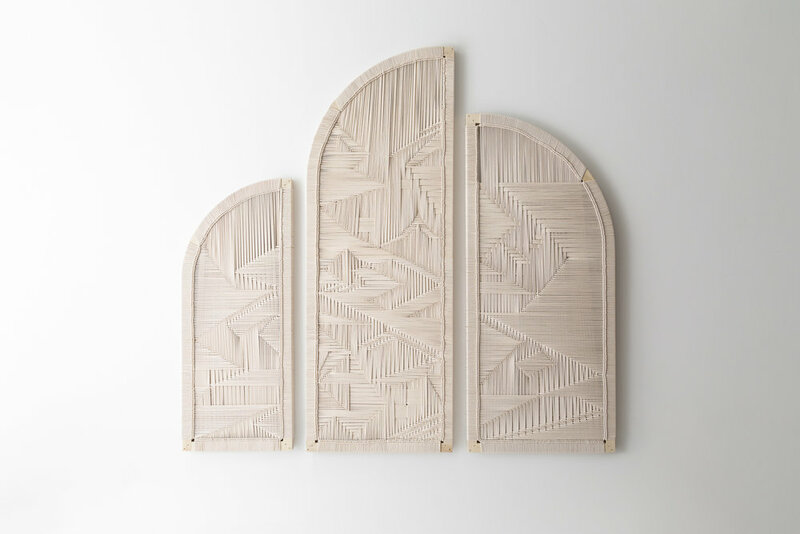 Curved ash forms the frames of the Veruca Wall Hangings. Available in bleached or blackened finishes the pieces feature bridal and peg joint detailing with unique hand woven patterning. The surface of the weaving creates subtle texture and dimension to each custom peice.